Beautiful. Was just talking to my mom today about having an empty nest. Agree Saumya, the story of an empty nest is almost universal ! So meaningful and depicting truth of life..
Am sure it was easy to relate, Manjulika! Thank you!! Can understand Ramya that the flight of the bird is also painful but that is the way for every new begining:)A big thanks! This is the second time that I have left my parents' nest empty, and though I can say they feel that bad because of mobile phones, I am enjoying being on the outside. Parting with loved ones is painful but then one has to make his/her own place in this world! awww.... the empty nest snydrome strikes! Very beautiful Rahul. 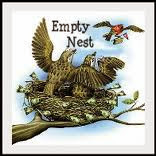 The empty nest remains empty if an effort is not made to bring a meaning and identity of its own. The nest may be empty but the life has so many meaningful things to enjoy and seek pleasures from:) Thanks a lot Padmaja! Beautiful. A reflection of life. Yes indeed Rachna ,and thanks for your kind appreciation! Beautifully expressed... the ways of life!! 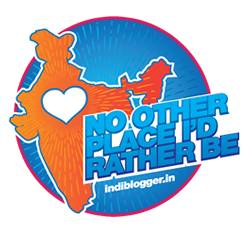 A big thanks Shilpa and the way of life it is! Loved the picture too - old parents waving off their dazzling, darling offspring. Guess we have to let them go, dear Rahul, our hearts heavy, yet happy for them. I know you understand this so well Saru, having flapped your wings for realizing your dreams:) Thanks a lot and wish all birds like you soar higher!! Thanks a lot, Simran for liking!! Awesome!!!.. simplicity and strength both conveyed in style. Thanks a lot Nuthan for those kind words! So many truths in such a short poem. She(my MOM) said and I quote "beautiful"
Oh this is so nice! A big thanks to you and your mom for having liked the poem and being able to connect to it! A wonderful poem with a beautiful perspective! Thanks a lot Rupertt, for those kind words of appreciation! it struck so deep in my heart.. Such is life. I could relate a lot to it. The heart wants the bird to fly and be happy, the heart knows the bird cannot stay behind, but still it cannot let go of the bird either. Sigh. True Ashwini, it is difficult to hold the bird back so one hopes it flies higher in life to fulfill all the aspirations!